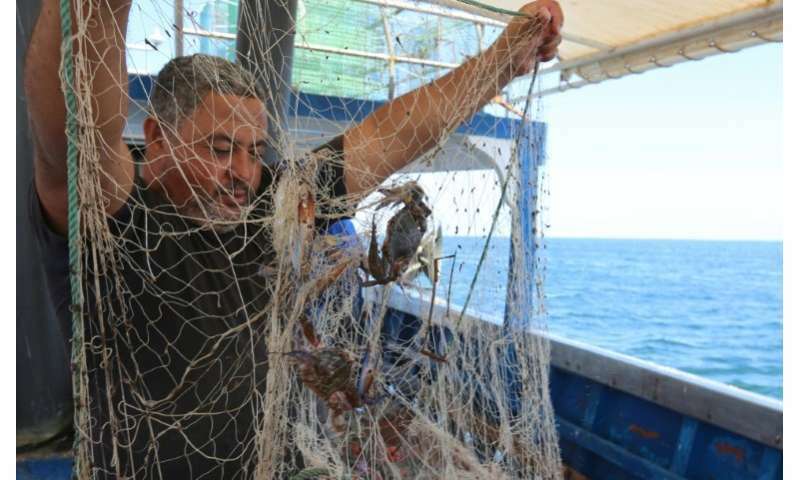 Tunisian fishermen saw the blue crab wreak such havoc on their catches when it first appeared that they nicknamed it after the terrifying jihadists of the Islamic State group. But now—four years after these scourges of the sea invaded their waters—the predators have turned into prey as fishermen in the North African country cash in on the crustaceans. "Look, there are only Daesh, they've destroyed everything," he says, using the Arabic term for IS that has become the crabs' nickname. 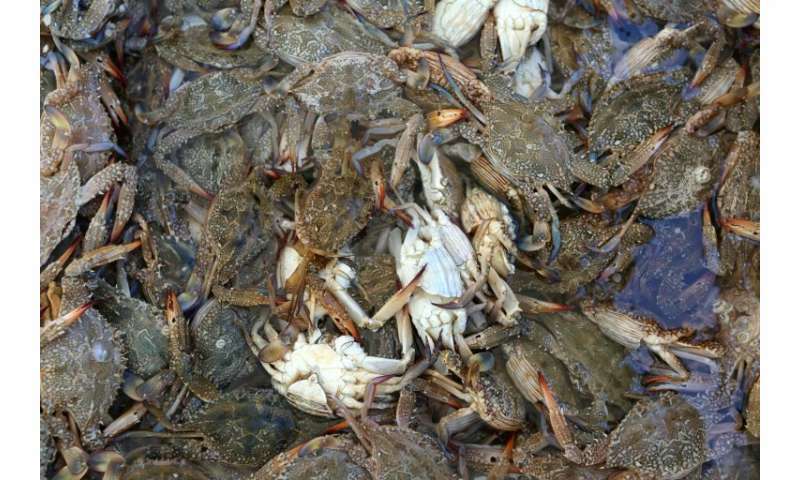 The blue crab, once a native of the Red Sea, first showed up in the Gulf of Gabes off Tunisia's coast in 2014 and immediately set about snapping up the rich pickings it found. "It quickly became a curse," Zayoud, 47, tells AFP. "It eats all the best fish." "One thousand, one hundred fishermen have been hit by this plague in Gabes," said Sassi Alaya, a member of the local labour union. "Nowadays we change our nets three times a year, while before it was once every two years." In 2015 and 2016, fishermen demonstrated over the issue—and eventually the government took notice. One of them is managed by a Turkish company—putting to use the experience it gained dealing with an influx of the crabs back home. Each afternoon a line of refrigerated vans forms outside the facility delivering the crabs caught that morning from nearby harbours. "When the crab appeared we didn't know how to make money from it," said Karim Hammami, co-director of the firm Tucrab. 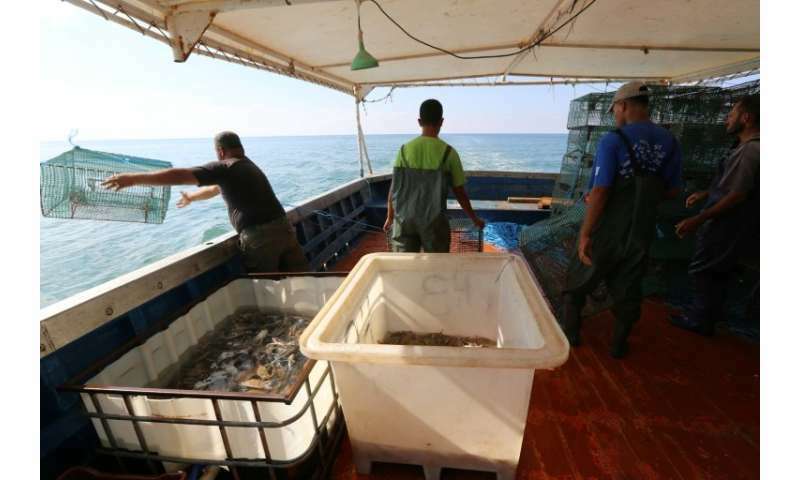 "Tunisians didn't consume it so the fishermen avoided catching it—but when investors came in and the authorities began moving we started targeting foreign markets." 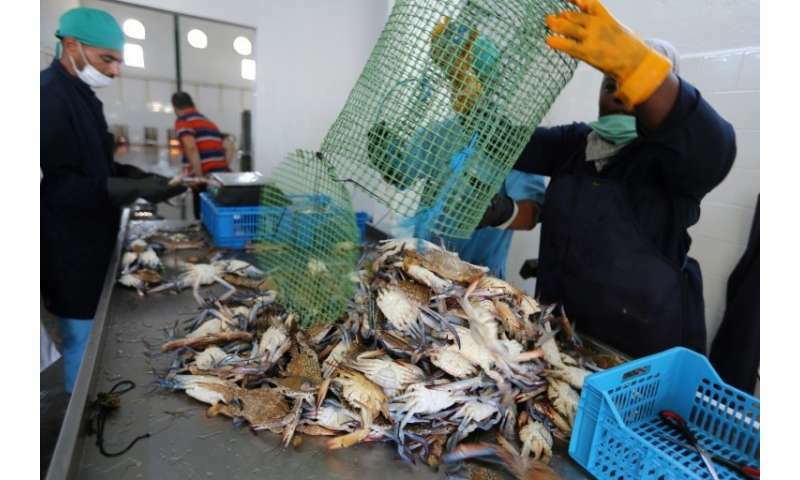 In the first seven months of this year, Tunisia produced 1,450 tonnes of blue crab worth around three million euros ($3.5 million), the ministry of agriculture says. "The situation has completely changed," said fisherman Zayoud. "Daesh eat all the best fish," explains the fisherman. "So their meat has to be delicious."